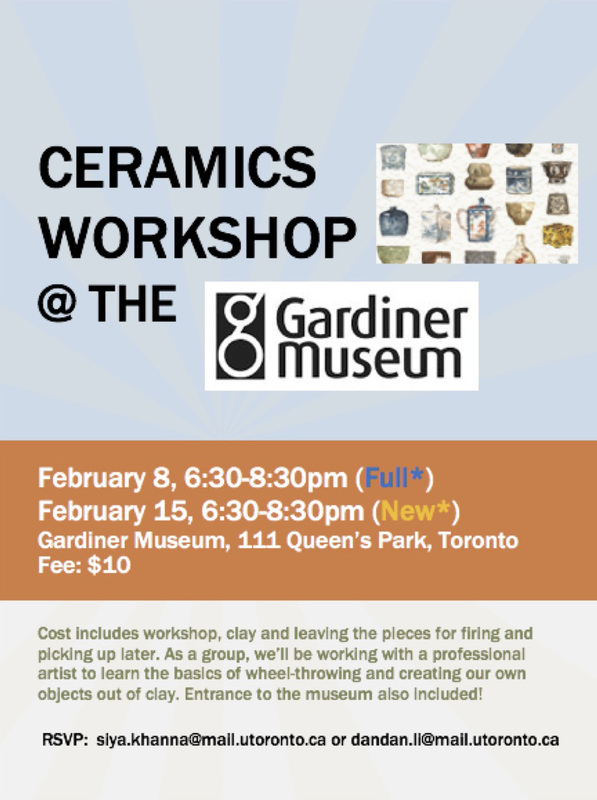 Learn the art of ceramics by joining your fellow students at the Gardiner Museum! At this private workshop, we’ll be learning the techniques of wheel-throwing to make our own creations and leaving them at the museum to be fired up. We’ve added a second workshop on Feb 15th, 6:30-8:30pm, since the first date (Feb 8) is sold out! Fee is $10/person. Please RVSP by Feb 8th, as spots are limited. Contact your hospital reps Dandan or Siya.